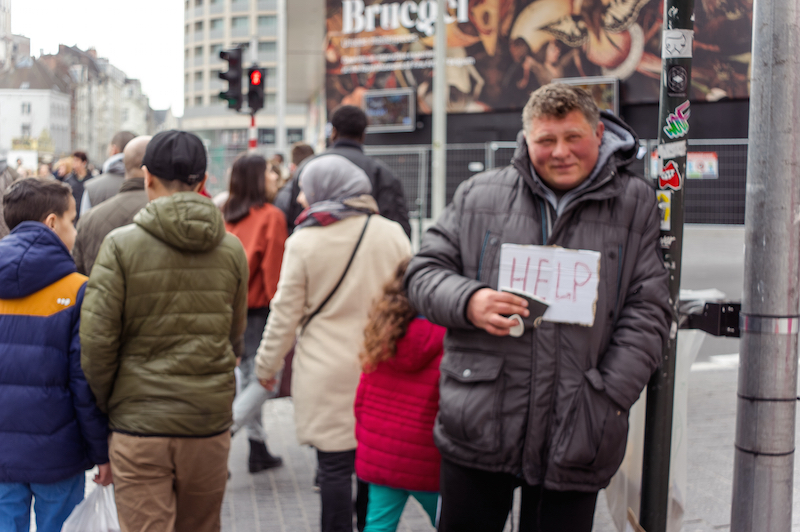 The austerity policies pursued in several European countries in the wake of the EU fiscal crisis are pushing the public health sector to the brink – and forcing more and more services into private hands, writes Jan Willem Goudriaan on World Health Day (7 April). Jan Willem Goudriaan is General Secretary of the European Public Service Union (EPSU). Political leaders must halt the rising tide of commercialisation of healthcare services that is destroying quality of care and putting increased pressure on working conditions and the sustainability of services across Europe. That is the message a network of trade unionists, citizen collectives, NGOs and social movements take to the streets in a series of actions planned in several European cities this World Health Day (Thursday 7 April). Activists in Madrid, Barcelona, Zaragoza, Paris, Lille, Brussels, Milan and beyond raise their voices in a rallying cry, their message a simple one: invest in quality healthcare for all and end the treatment of health as a commodity. In a time of rapidly ageing populations and rising co-morbidities, chronic diseases and dementia, public health and social care services need a vital injection of investment in order to meet complex needs. Instead, they have become one of the primary targets for governments determined to slash budgets at any cost. The introduction of fees and withdrawal of free care for some of the most vulnerable people in Europe mean that millions of people of all ages now live without access to quality care. Tens of thousands of health professionals have lost their jobs; many more have had their wages cut and frozen. Increasing numbers of healthcare workers are leaving their home countries in search of better pay and working conditions abroad. The resulting pressures on the staff that remain is reaching boiling point, of which this week’s 48-hour strike by junior doctors in the UK is just a snapshot. Recent months and years have seen industrial action and protest from health workers in Croatia, Kosovo, Latvia, Poland, Romania and Slovakia. Health and public service workers are on strike in Greece today, where repeated cuts have left services starved of funding and staff overloaded. Workers in public services, health and other care are also on strike in Lombardia: like Greek workers they demand investment in quality health and social care. The austerity policies pursued in several European countries in the wake of the EU fiscal crisis are pushing the public health sector to the brink – and forcing more and more services into private hands. Deep cuts to government spending have been coupled with a widespread commercialisation and marketisation of health and social care. Large chunks of these services are being opened out to the market, allowing private enterprises and multinational corporations to bid for contracts from which huge profits can be made. These governments do so at the risk of reduced quality of care, deteriorating working conditions and a two-tier health system in which lower risk and paying patients are “cherry picked” by commercial providers and receive better and faster care. As such, what is just another opportunity for private health groups to make a quick profit becomes a deadly game of roulette for those who avoid too-costly check-ups and treatments or are made to wait at the back of a lengthy queue. Evidence shows that economic crisis in Greece, Ireland, Latvia, Portugal and Spain, where mass cuts and hospital privatisations have taken place, has resulted in an upsurge in infectious diseases, including HIV, and suicides. New costs for patients and increasing waiting lists are not simply financial and bureaucratic matters: they are costing us our health and lives. The policies being implemented by national leaders in the UK and Spain are perhaps the most obvious examples of a government in aggressive pursuit of market liberalisation of the health sector. But the desire of commercial providers to find new business avenues into the health and social service sector is facilitated by the European Commission’s own policy frameworks, too. Increasing support is being shown for transnational markets and public-private partnerships (PPPs) in health and social care – through policy, EU legislation and financial assistance – which are presented by the Commission as a viable way to reduce government spending. This, despite the fact that the majority of PPPs rely on a stream of ever-increasing income from governments – a factor which the Commission itself recognises. The UK’s Private Finance Initiative (PFI) scheme, whose model is being rolled out across Europe with gleeful encouragement by the European Commission, has in its nearly 25-year history shown no evidence of being a cheaper, more efficient or innovative method of providing public services. Rather, PFI has been associated in the NHS with service cutbacks, hospital closures and spiraling debts for hospitals. Nowhere is this more evident than in south London, which was placed in administration in 2012 after losing £1.3 million per week and where PFI deals have cost the NHS Trust £69 million per year – £61 million on interest alone. Of particular concern is the recent trade negotiations on agreements such as TTIP, TISA and CETA which could further open up healthcare for competition and hand a bigger role to private commercial providers, financial investors and insurance companies. The inclusion of any form of private arbitration for multinationals – whether in the form of Investor-State Dispute Settlement or a mechanism by another name – threatens to render permanent the current liberalisations that future governments may seek to reverse, as well as endanger regulations and state intervention in the sector. In Brussels, a series of actions on World Water Day shines a spotlight on the damaging consequences to citizens and workers of the increasing commercialisation of healthcare services by governments across the continent. Following a morning press conference and seminar, a mediatised action next to Schuman roundabout invites participants for treatment at one of two temporary hospitals – one for those who can afford to pay and the other for those without such a luxury – to demonstrate the inequality of care that commercialisation policies create. The pursuit of profit margins must never trump the duty of care to patients; our health and well-being is not a commodity to be sold to the lowest bidder. On World Health Day 2016 we call on governments to reverse this dangerous trend and give healthcare the support and investment it desperately needs. Interesting that the author failed to mention the unsustainable stress being put on health services by the Euro crisis & the migrants crisis, not that it matters because when the unelected European Commission forces through TTIP all healthcare services will be privatised anyway. Can’t mention that…it doesn’t square with “the agenda”.